Often Imitated, Never Duplicated – Why? This unique blend of broad-spectrum micronutrients found only in SOURCE Plus!… Yeast Culture, Brewer’s Yeast, Garlic Powder, Vitamin E and Zinc. 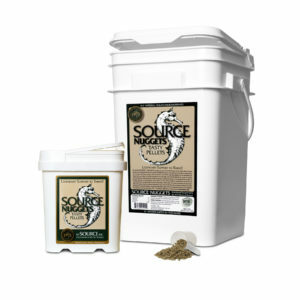 Dogs can thank horses for SOURCE PLUS! 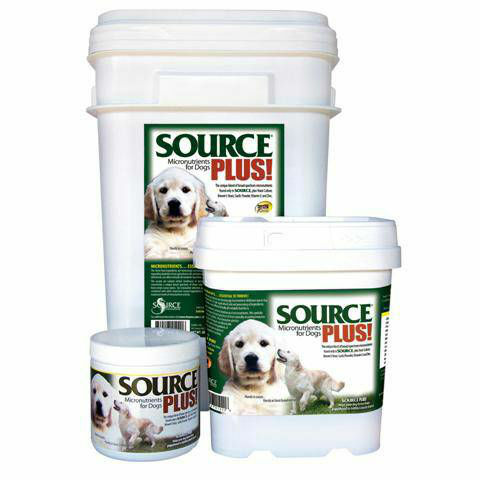 a nutritional advance that helps dogs cope with the consequences of increasing micronutrient deficiencies in their foods. 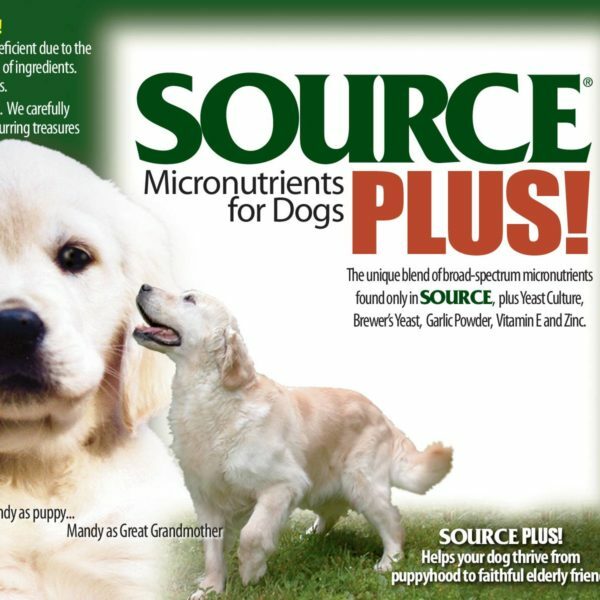 Horsemen impressed with the results of adding SOURCE micronutrients to their horse’s diet, reported similar improvements when they fed it to their dogs. Now new SOURCE PLUS! formulated just for dogs provides the same all natural, broad-spectrum micronutrients from selected seaweeds plus the added benefits of yeast cultures, brewers yeast, garlic powder, vitamin E, zinc and natural beef flavor. Depleted agricultural soils mean essential micronutrients are missing in even the finest dog foods. The SOURCE micronutrients are concentrated from seaweeds grown in nutrient-rich ocean waters. Careful selection, harvesting, and low temperature dehydration capture these nutrients at their peak. SOURCE PLUS! concentrates all the ocean’s bounty and then adds other important natural ingredients to help young dogs grow strong and healthy and mature dogs feel their best. Dog owners’ reports include superior glossy coats, healthy skin condition, successful breedings, and improved temperament and appetites. Dehydrated seaweed meals, yeast culture, brewer’s yeast, garlic powder, vitamin E, zinc proteinate, natural flavor. We have pledged to keep these products free from any artificial colors or flavoring, preservatives, synthetics or drugs of any kind. How long will SOURCE PLUS! last? The problems resulting in micronutrient deficiencies did not develop overnight. Please be patient. We guarantee your satisfaction with the results… NO TIME LIMIT! SOURCE PLUS! is available for your dog in convenient 12 oz., 5 lb., and 20 lb. bulk sizes. 12 oz., 5 lb., 20 lb. 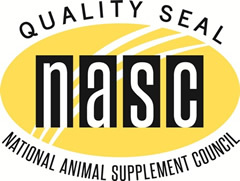 audited and certified to display the NASC Quality Seal. Graphic excerpt from "Essential for All of Us" an original watercolor by Jan Royce Conant copyright 1999-2017. ©2019 SOURCE, INC. All rights reserved.